The Real Thing... Surf-sound sleeping, private beach, on the Bay... Simple, plain, authentic, uncorrupted and unadorned “Summer of ‘42” beach cottage for those discerning few who recognize and appreciate the difference. Located in National Historic District, and formerly part of Bay House Cottages. Adjacent to Orient Yacht Club. 2-minute walk to Orient Village and Oysterponds Historical Society. Deep-draft boat mooring available. 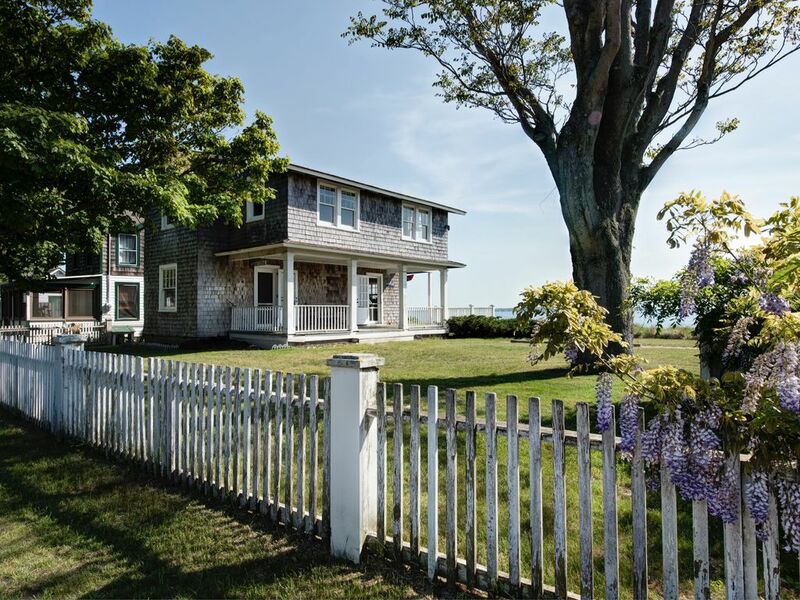 Photos provide views of exterior and surroundings of Bayside Cottage, as well as an interior “walk through” and some items from the historical archives. We had a great time in this charming cottage. The owner was so unbelievably accommodating! Beautiful location! It had a very beachy feel. Not luxury but comfortable. It was right on the water with a beautiful deck at the side of the house. Plenty of chairs to sit and enjoy the view. The bedrooms were roomy enough. The bathrooms could stand an upgrade but they were clean. We loved Bayside Cottage, we came here for a weekend fishing trip for my husbands birthday and had a great time. Wood burner was a plus!. Owner was very nice and accommodating also. We cant wait to come back to Orient. Great little get away. Cute older beach cottage. The owner was awesome. My family and 4 freinds all had a great time exploring and golfing some very nice golf courses in the area! Great place to stay no complaints at all!